Jason Knight believes his hand should’ve been raised last night (April 6). 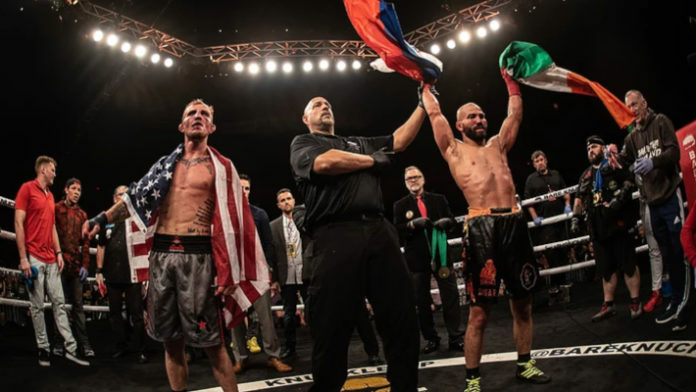 Knight and Artem Lobov went one-on-one in their Bare Knuckle Fighting Championship (BKFC) debuts. Lobov was dropped in the opening seconds of the fight, but he returned the favor with a knockdown of his own. The two engaged in a wild and bloody fight for five rounds. Ultimately, Lobov won the bout via unanimous decision. Do you think the judges made the right call awarding Artem Lobov the unanimous decision win over Jason Knight?